Tell the world in style! 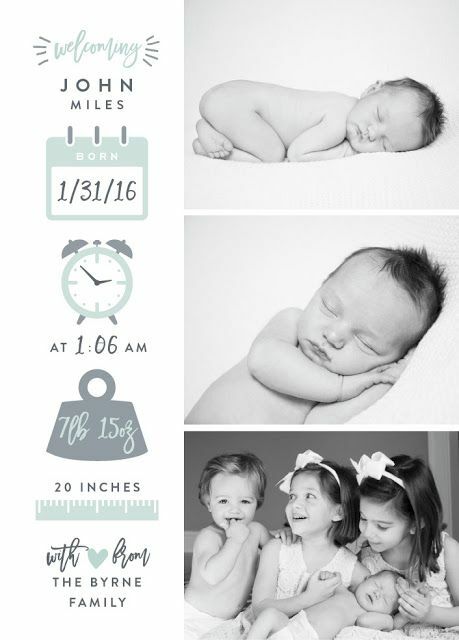 Looking for some really cool baby birth announcements? 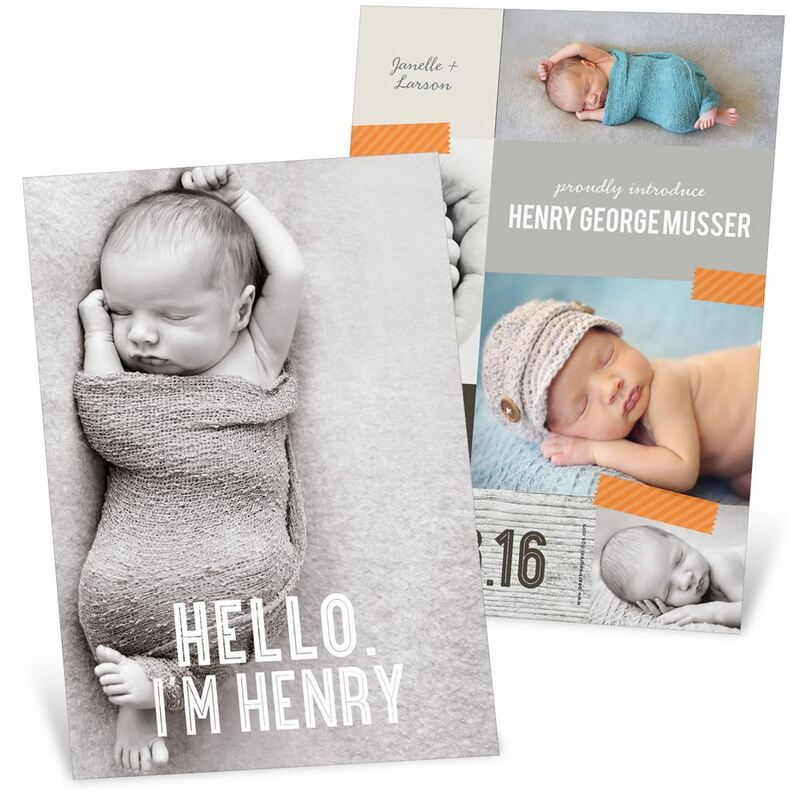 You want the world to know about your newborn's arrival but don't exactly know how to? 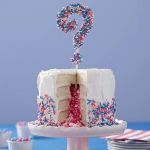 Do you want to come up with an out-of-the-box idea? After all, days like these don't come very often. Let's make your special occasion even more special with some awesome ideas. 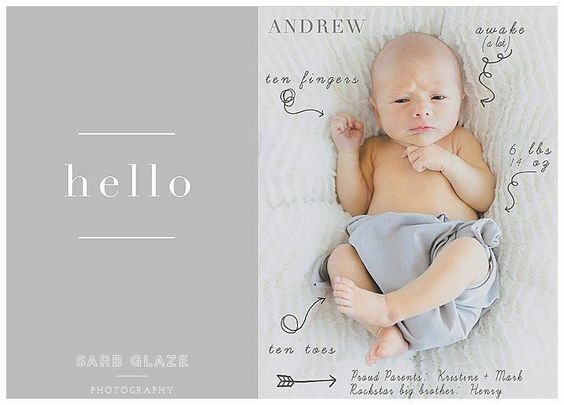 You don't need to hire a professional photographer or go wild with your Photoshop skills for the newborn baby announcement. 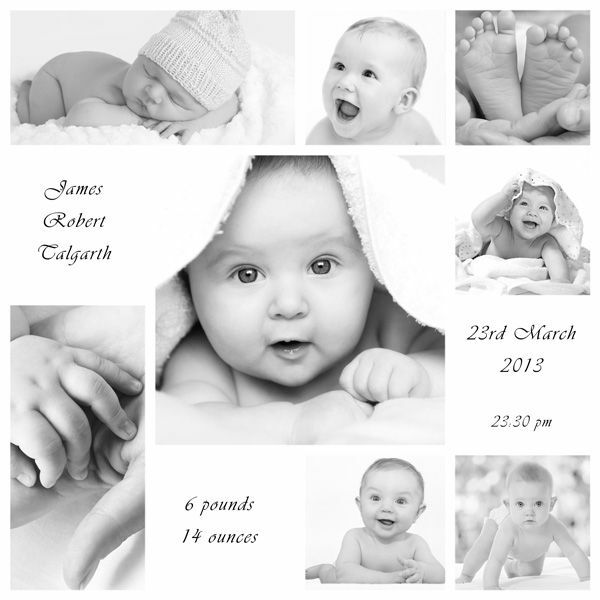 A simple collection of newborn pictures with some basic details when arranged properly could look quite chic. How about this one? A big day with big news, why not announce it in a big way? 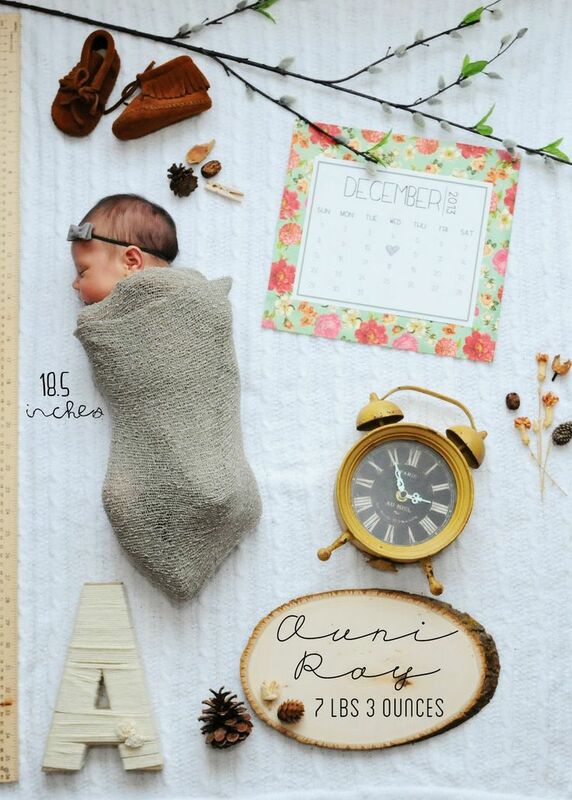 I absolutely LOVE these newborn baby announcement ideas that reveal the whole story - your baby's name, gender, date of birth, time of birth, height and weight - all in one cute picture. What do you think? 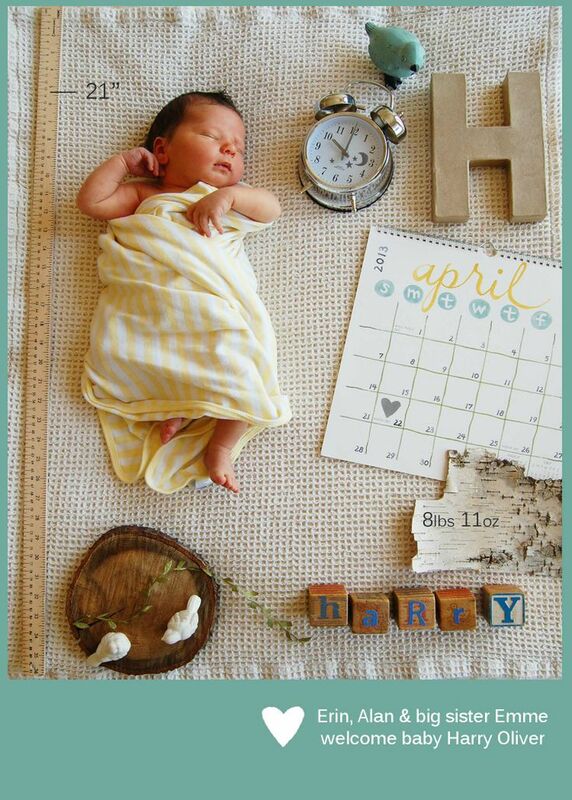 You don't really have to go for a formal newborn baby announcement message if the picture says it all. After all, a picture is worth a thousand words. Specially if the pictures are as beautifully detailed like these. 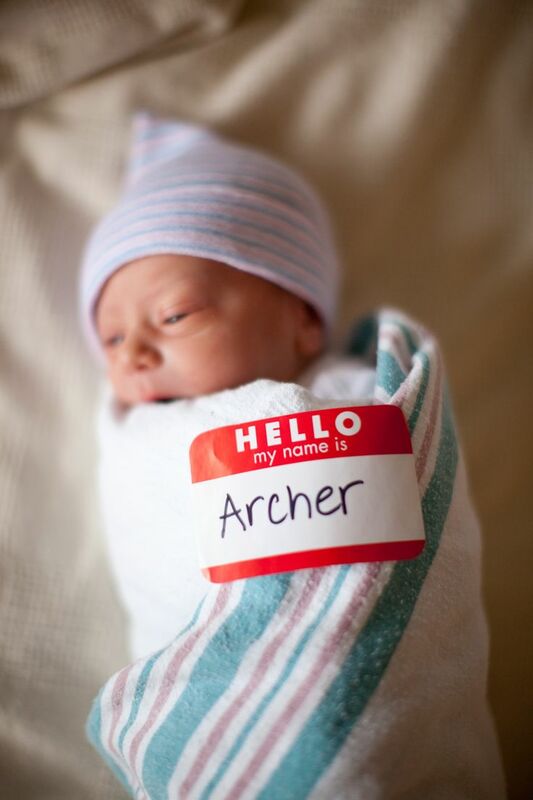 Newborn baby announcement can be simple, short and yet sweet at the same time. 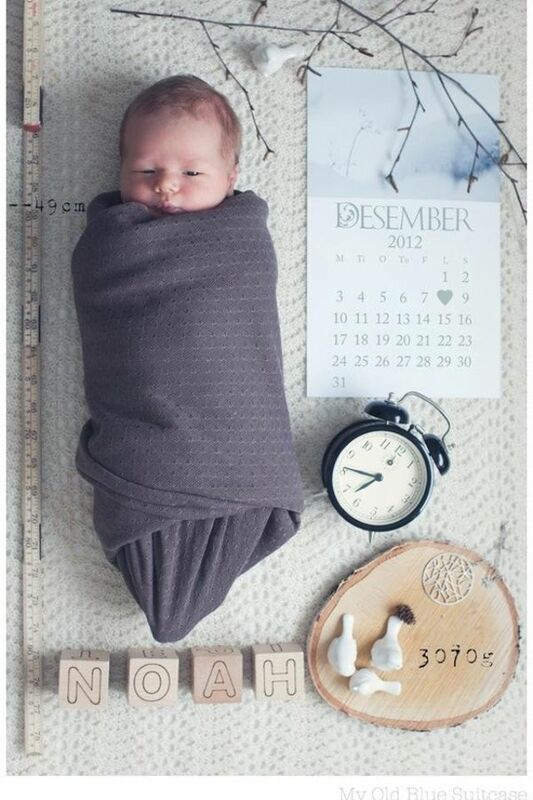 But when you go for a very simple approach like these pics below, get ready to get lots of phone calls and messages from people asking you the same question (your newborn baby's details) over and over again. 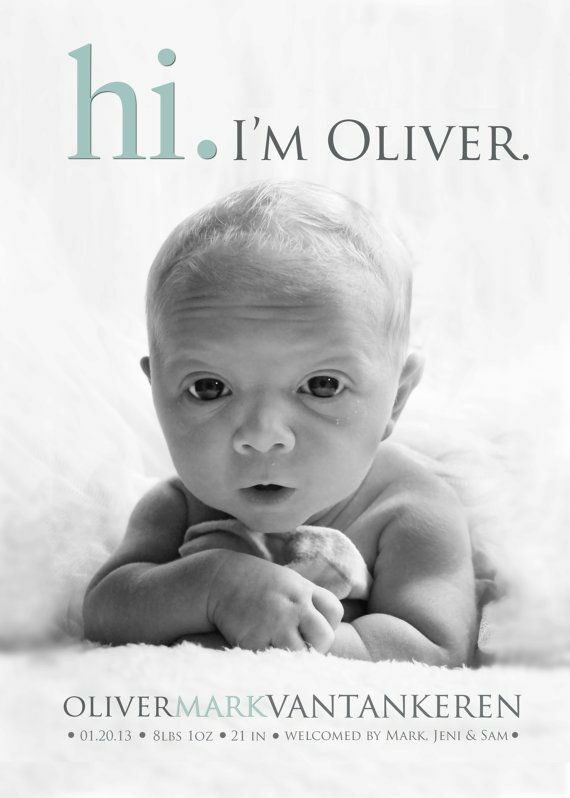 For newborn baby announcement to coworkers, such "to the point" approach is often recommended. You may not want to reveal too much detail to 200 people that you don't personally know that well. So making it short and crisp may be the best policy. Are you superstitious? 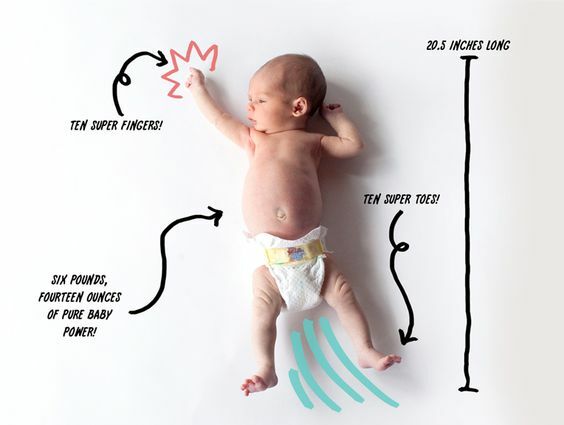 You may be surprised to know that a lot of parents, specially new mothers, are quite superstitious when it comes to their newborn baby girl or boy. In many South Asian countries like India, Pakistan and Bangladesh, a blank ink dot (usually from mom's eye pencil or liner) is put on the newborn baby's face, usually near the chin, forehead or ear area. Parents believe that this practice will prevent their offspring from the "evil eye". 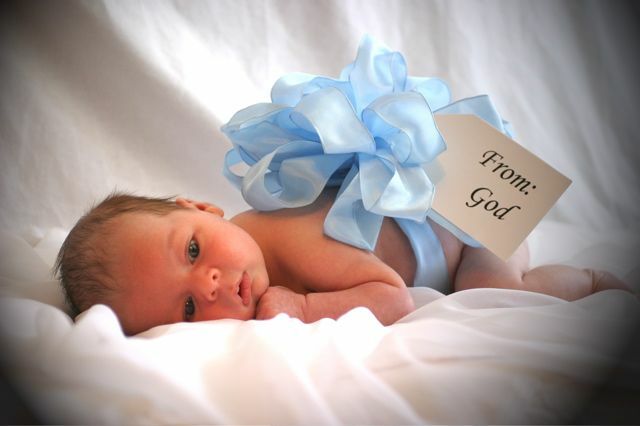 Many parents also believe that Newborn Colic is also a result of an evil eye. In Turkey, the same concept is implemented in the form of using a blue & white evil eye pearls (which are inserted in the baby's bracelet or diaper pins). 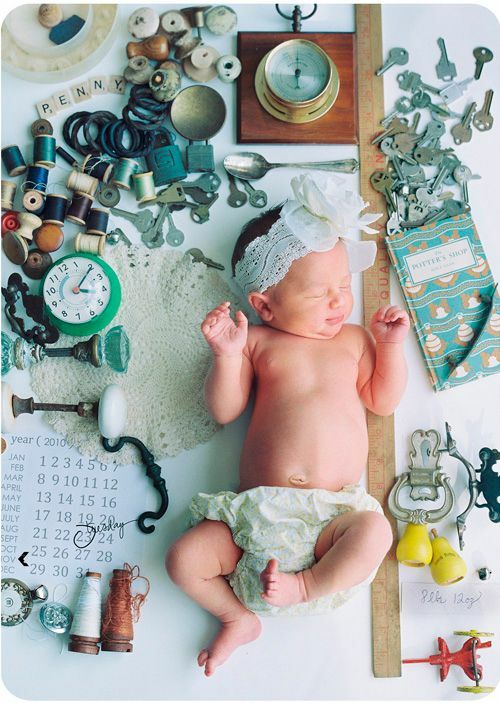 A lot of people put iron and metal products near their newborn baby - a myth to ward off the evil eye. 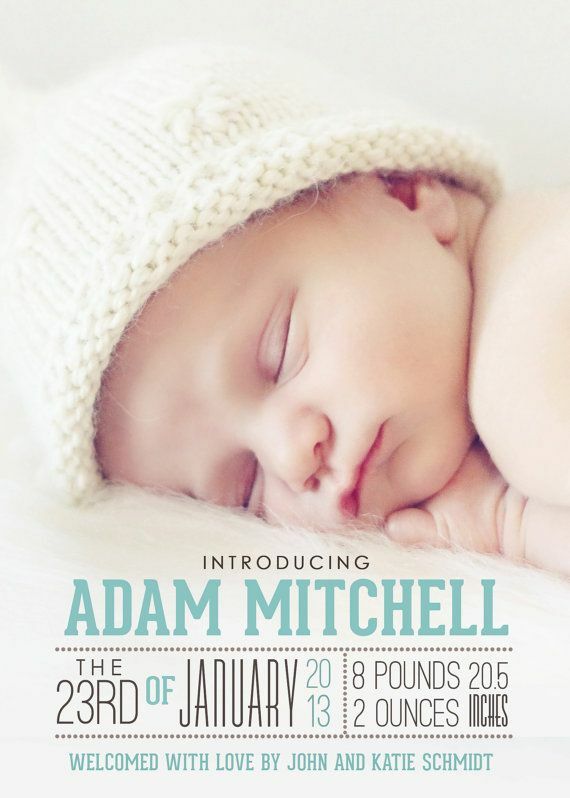 Whether you are superstitious or not, check out this baby birth announcement that has loads of metals and the picture still looks cute and adorable. What do you think? 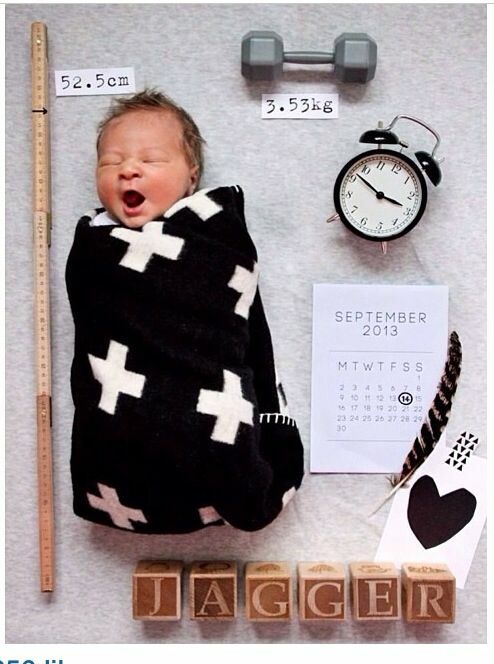 We have more on this creative announcement ideas. 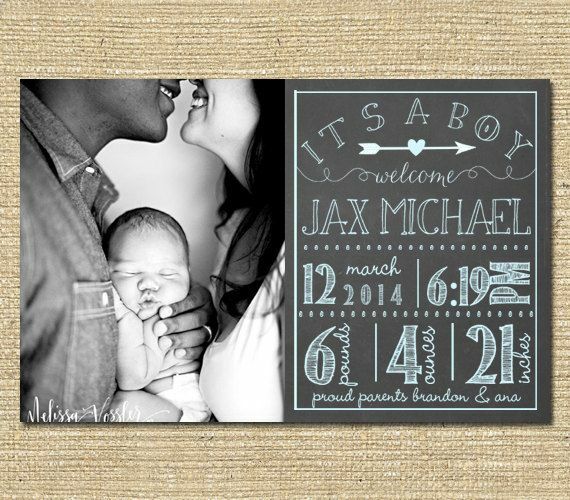 Click here for Gender Reveal Ideas and Pregnancy Announcements. 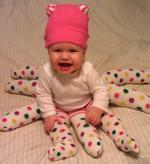 Check your baby's developmental milestones here.